Oracle Cards are copyrighted to their respective designers, artists, and publishers, and are only used for example purposes. Only six cards from the deck are shown. Please find your personal Messages from Fairies card displayed above. To draw a new oracle card, simply reload the page. Please note: this free Messages from Fairies card reading displays only 6 of the 44 cards. To buy the entire deck of Doreen Virtue’s inspiring cards, please visit the link below. Product Information:“This easy-to-use deck of oracle cards is appropriate for beginners as well as those experienced with divination cards. Fairies are beloved “nature angels” who, since they’re so close to the earth, are brilliant at healing and helping with everyday concerns such as relationships, health issues, and finances. 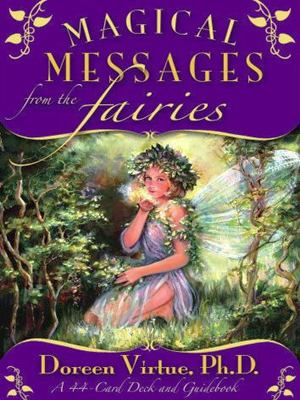 Buy Doreen Virtue’s Magical Messages from the Fairies Cards today and offer free oracle card readings to your loved ones!